This Midsleeper combination incorporates a new rounded Pull Out Desk and feature rounded headboards, 3 Drawer Chest and Cube Unit with 4 doors. This bed offers great storage and a great work space. Pull out Desk, Cube Unit and Chest produced in hardwearing MDF. 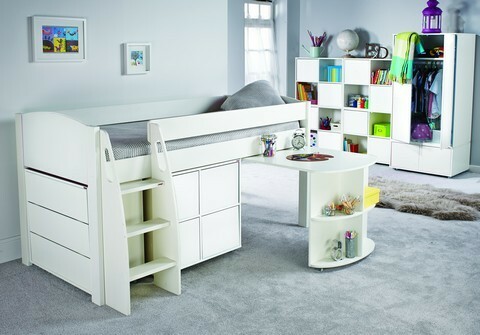 Includes Uno S Midsleeper with Pull Out Desk, 3 Drawer Chest and Cube Unit with white doors. New feature push-to-open drawers and doors to replace conventional handles. 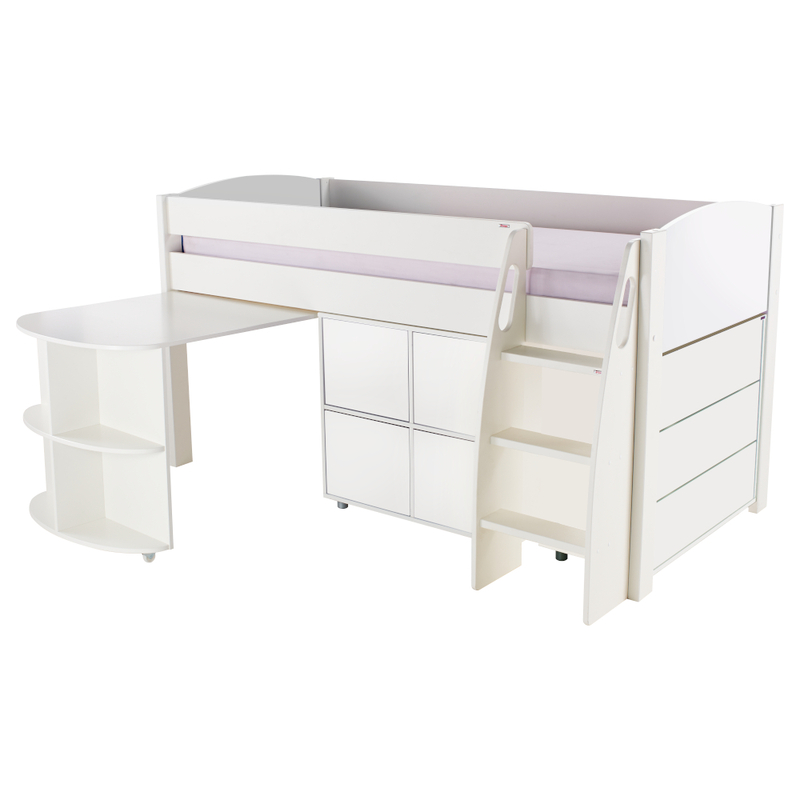 The Cube Unit and Chest can be positioned either in the end of the bed or next to the Pull Out Desk. Includes 4 white sleek lined push-to-open doors on the Cube Unit.